The ads for this have recently been doing the rounds. It looks like a seriously nice bit of kit - cross between an acoustic and a Tele. There are now youtube vids for it and it seems to sound pretty good as well. I'll be interested to see what the neck is like. It ain't right. It ain't natural. And I won't 'ave it in the house! Actually I play a Line6* already so it does look very interesting. blinddrew wrote: It ain't right. It ain't natural. And I won't 'ave it in the house! Yep....my initial thoughts. I had an admittedly much, much cheaper Telecoustic (£200-300 I think) several years ago but it was awful. Absolutely awful. Won't ever entertain the idea again, let alone at £1600. Dave B wrote: The ads for this have recently been doing the rounds. It looks like a seriously nice bit of kit - cross between an acoustic and a Tele. There are now youtube vids for it and it seems to sound pretty good as well. I'll be interested to see what the neck is like. If you ever find yourself in upstate New York, let's get drunk. My shout. This, btw, is a telecaster. Everything else is just a sign that your marketing team is past it's pull by date. I generally like the envelope being pushed, but what a load of crap. Somebody please go play one and give us the real skinny! And if by chance you have a Variax to compare it to - that could be most interesting. ManFromGlass wrote: I generally like the envelope being pushed, but what a load of crap. Somebody please go play one and give us the real skinny! And if by chance you have a Variax to compare it to - that could be most interesting. I think that if I walked into a guitar shop and asked to try a $1600 guitar they'd just give me THAT look until I just shuffled away quietly. Here if it’s hanging on the wall they let you take it down and see how Stairway To Heaven sounds. Although I’m told the younger generation is going more for Sweet Child of Mine. Which is £1699 in Andertons, the extra £99 adding insult to injury. That's hellish expensive. 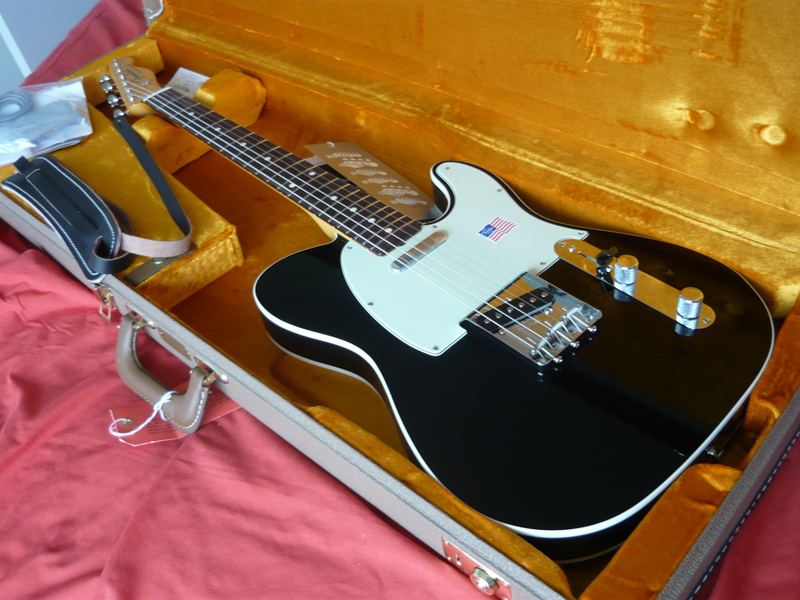 I think I might try a Mexican '69 Thinline Tele and add a piezo bridge, if necessary - and I'm not sure it would be. That model is very clean and clear - probably because of the megohm pots. have I ever seen an electric/acoustic hybrid ? I must say that the video demos of the Acoustasonic have me very impressed at the acoustic sounds. I've heard far worse from the pickups in much more expensive acoustics. But I'm still waiting to hear if it's any good in Tele pickup mode through a normal guitar amp. Ugly as hell but if it worked it would be great. My set has both acoustic and electric songs (and sometimes on the record I play different parts with different instruments) so if it worked it would be a godsend live. Gonna try one. Gotta reproduce the electric sound of a strat tough..
Just got that one pickup, which isn't specifically a Tele or Strat one but is called an 'Acousticsonic Noiseless Magnetic' pickup. No chance of Strat neck or mixed pickup sounds though. Just found this, Andertons vid, where they do try it out through guitar amps with steel strings and some extra gain and it sounds pretty good (bridge pickup starts about half-way through).